It is our true policy to steer clear of any permanent alliances with any portion of the foreign world. My observation is that whenever one person is found adequate to the discharge of a duty. Iit is worse executed by two persons, and scarcely done at all if three or more are employed therein. The United States is in no sense founded upon the Christian doctrine. The Nation which indulges toward another an habitual hatred or an habitual fondness is in some degree a slave. It is a slave to its animosity or to its affection, either of which is sufficient to lead it astray from its duty and its interest. Our cause is noble; it is the cause of mankind! 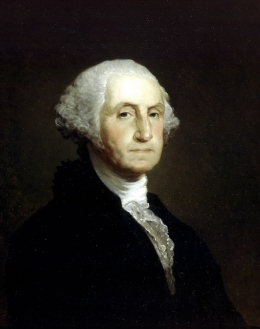 29 quotes by George Washington.